DETROIT, Jan. 12, 2017 /PRNewswire/ -- Adient (NYSE: ADNT), the world's largest global automotive seating supplier, today announced that its RECARO Automotive Seating product group has won a significant contract with MAN Truck & Bus AG to increase annual seat production at the company's facility in Skarbimierz, Poland. Specifics of the supply contract were not disclosed. "We are exceedingly pleased by the trust that MAN Truck & Bus has put in RECARO Automotive Seating by placing this order," said Dr. David Herberg, executive director commercial vehicle seating. "Since the market launch of our new generation of seats in 2008, we have been able to continually grow and expand our portfolio." Herberg added that this milestone in the OEM business reaffirms RECARO Automotive Seating's position in the European commercial vehicle market. "We are a sought-after reliable partner for truck manufacturers – at the same time we are bringing our ambitious growth strategy to fruition." MAN Truck & Bus is bringing the original equipment seat portfolio of RECARO Automotive Seating into the cabins of light, mid-sized and heavy trucks up to a uniform standard. 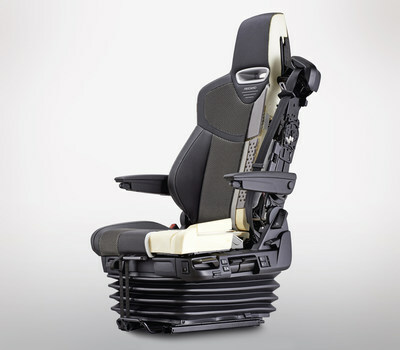 The seats were developed by RECARO exclusively for MAN, based on its modular commercial vehicle seat platform and are optimally tailored to meet the needs of commercial vehicle drivers. Within the framework of various equipment packages, MAN customers will be able to choose between luxury and comfort variations from RECARO Automotive Seating that include a complete range of features such as heating and climate control. In addition, RECARO Automotive Seating will supply the passenger seats in different configurations – from a fixed version to a turntable-mounted swivel variant. 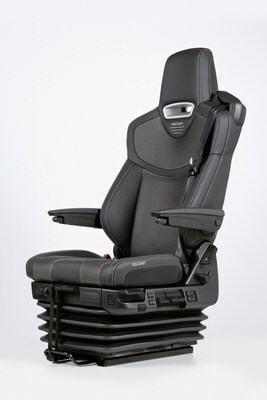 RECARO Automotive Seating uses a common parts strategy for its seat structures. It employs standard parts from Adient – especially metal adjustment components – that have been used and tested millions of times. In addition, the modern production facilities in the Polish town of Skarbimierz are set up to handle a high volume of product variants. This enables RECARO Automotive Seating to precisely time production and delivery to the customer just-in-time and sequence as necessary. RECARO Automotive Seating is continuing to pursue its long-term strategy of establishing itself as an innovative premium manufacturer in the global commercial vehicle market. The strategy includes the expansion of the product and service portfolio and the acquisition of new customers in Europe, Asia and the Americas. In this effort, the company is using the extensive networking opportunities offered by Adient, as well as Adient's high level of vertical integration of seat components. MAN Truck & Bus is one of the leading European suppliers of commercial vehicles and transportation solutions with an annual revenue of € 9 billion (2015). The company's portfolio includes trucks, buses, diesel engines as well as solutions for passenger and freight transportation. MAN Truck & Bus is a company of Volkswagen Truck & Bus GmbH with more than 35,500 employees globally.